Ladies and Gentlemen, we have a winner! 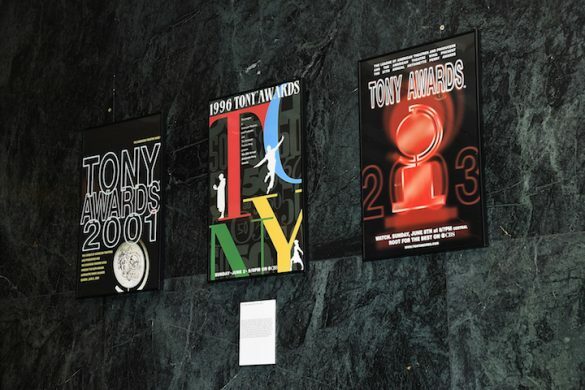 Daniel M. is going to see Lincoln Center’s new production of Golden Boy on us. 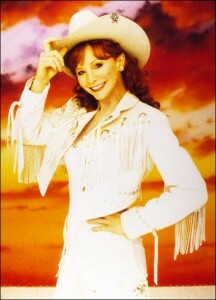 Reba McEntire in "Annie Get Your Gun". Photo by Andrew Eccles. “Reba McEntire in Annie Get Your Gun was the most perfect pairing of role and performer I have ever experienced. I saw the show 7 times with her and even paid for 5 of the times! !” David L.
“I remember seeing Gary Sinise on Broadway in The Grapes of Wrath. He was mesmerizing. Wish he would do more plays.” Linda Z. “The Scottsboro Boys. I was completely entranced from beginning to end. So clever, new, brilliant performances. 90 minutes of beauty.” Betsy D.
“Knock out performance? Audra McDonald in…well, in just about anything she’s ever been in. But particularly, Carousel. What a revelation.” Adam M.
“Sutton Foster in Anything Goes. A true triple threat. AND she made it look effortless!!! She is the reigning “Broadway Heavyweight” in my book!” Jamey W.
“My parents took me to see A Chorus Line on Broadway when I was about 12. It was astonishing to me in so many ways, starting with the sheer talent and artistry that my young self had never encountered, and ending with the subject matter that struck me hard emotionally — a knockout.” Pam W.
And what of our winner’s entry? He certainly wins with this answer, too. Love me some Cherry Jones. “Cherry Jones knocked me out in A Moon For The Misbegotten back in 2000. Her combination of tenderness and toughness, her gutsy physicality and hardened humor — astonishing.” Daniel M.